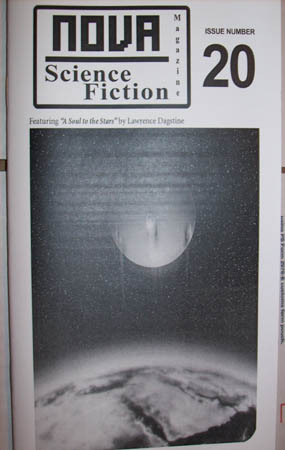 Featuring Fiction by: Lawrence Dagstine, Robert Anderson, Kevin Coyle, Steve Stanton, Scott Waclawik, and Don Kerr. Edited by Wesley Kawato. 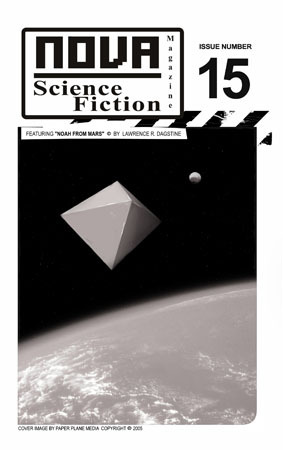 Cover art by Josh Grieve. He did a tremendous job; the cover art matches my story’s theme, dead-on! Much respect. They’ve been around a few years. They only accept snail mail submissions. If you have a manuscript that’s Hard SF or Religious SF and well-written in nature, and you have some kind of science fiction resume to back up your experience, then I’d query them. They are listed in the Writer’s Market and indexed by Locus Online. Here are some of my past issue covers.